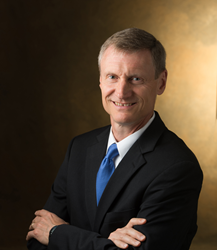 SIUE School of Business Interim Dean Tim Schoenecker. SIUE’s School of Business and the accountancy programs are accredited by the Association to Advance Collegiate Schools of Business International, representing the highest standard of achievement for business schools worldwide. The Princeton Review lists SIUE as one of the top 294 business schools in the U.S. for the 11th-consecutive year. Undergraduate and graduate degrees are offered in accounting, computer management and information systems, economics, finance, management and marketing. More than 20,000 alumni have earned degrees from the SIUE School of Business. For more information about the School of Business, visit siue.edu/business.